I have a confession to make. I am not a fan of wine and other hard drinks (plus beer!) because I can't stand the bitter taste and the hot..err..sweaty sensation that follows after drinking it. No matter how my friends sugarcoat it by saying, "come on it's good, it's ok, it's good for the heart, a great way for socialization" and other hundred enticing reasons just so I'd finish my 'designated' glass of wine, I still don't like it . 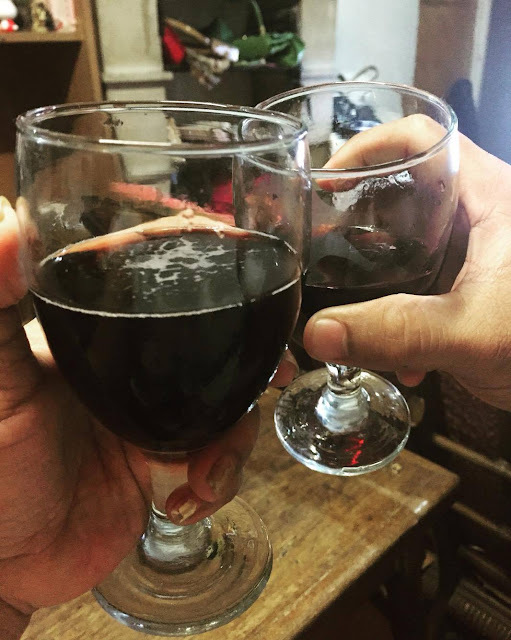 I remember years ago, during a beach party, I had no choice but to gulp down one glass of bitter wine because it's part of a parlor game, and we needed to win. See, I am competitive like that in games so I finished it in a heartbeat.. but duh, I turned reddish and felt a little tipsy afterwards. So you think my life is boring eh? No wine toasts, celebration, no chilling with wine over cheese and all that jazz. Haha, but no. That's another story though. Anyways, forward to 2017, I'm still the old me, still having a distant relationship with wines and beer. Then May came. Yes May Sparkling Grape Juice. Hands down, the best thing I've tasted that's closest to wine. Look Ma, no bitter taste. Yay! It comes in a sleek and elegant bottle design. 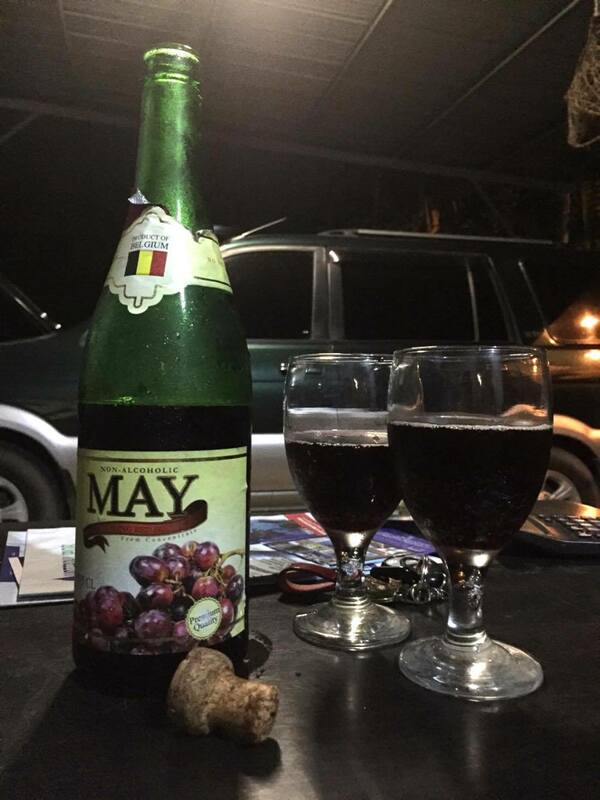 A product of Belgium, it is non-alcoholic and is made of top-quality grapes. Even kids and those on diet can enjoy May's delightful taste. May Sparkling Grape Juice tastes so good and totally refreshing that hubby and I had a grand time finishing a bottle of its Red Grape variant in one sitting (also available in White Grape). This tells me that from now on, it is going to be on my grocery shopping list for future family celebrations and events. Mommy A in relationship... with May hehehe.. Thanks Mommy. Happy Valentine's to you and hubby! Cheers to love and long life! Thanks Mommy V, hope you had a wonderful Valentines date with hubby to hihi ;) Sarap ng May promise ..